This year you can get to know Jesus more and more as you read the New Testament! 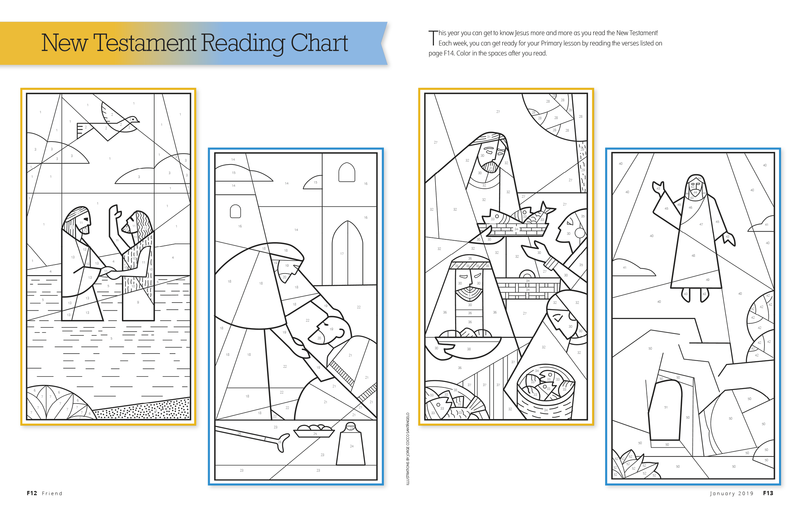 Each week, you can get ready for your Primary lesson by reading the verses listed on page F14. Color in the spaces after you read. These scriptures go along with the weekly reading for the 2019 curriculum.